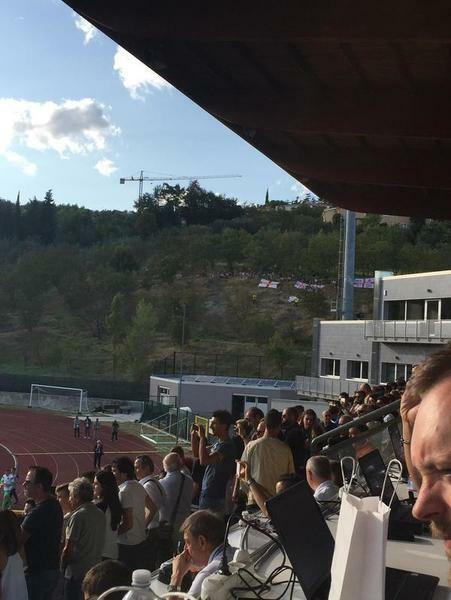 Good afternoon and welcome to Standard Sport's live coverage of England's Euro 2016 qualifier with San Marino. Stay tuned for updates, team news and analysis ahead of the 17:00 kick off. 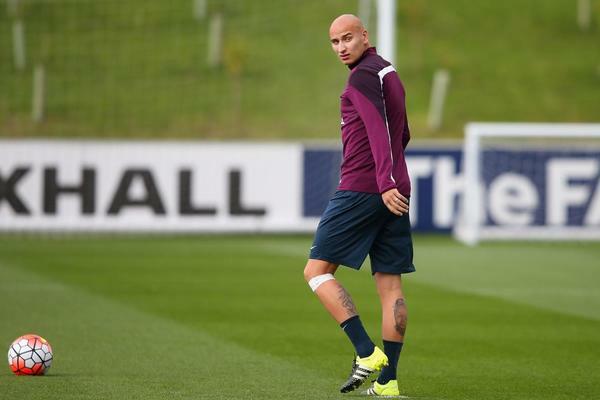 We're expecting confirmation of the England line up in under an hour, but we do know three players who will feature are Jonjo Shelvey, John Stones and Jamie Vardy. Here's what Roy Hodgson had to say about that. I don't want to give the team because I never do that before qualifying matches and San Marino are no exception to that rule. But of course there are some players in this squad that have evoked a lot of interest and there's a lot of speculation whether they'll play so I can say Jonjo Shelvey, who has had a brilliant start to the season, will start the game as will John Stones and Jamie Vardy. 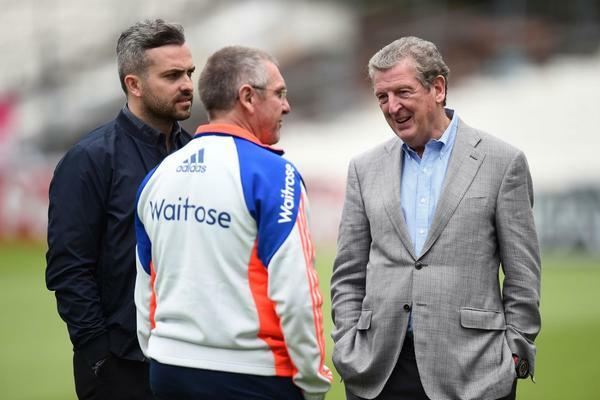 San Marino have been absolutely fuming with England manager Roy Hodgson over the past few weeks, ever since he made a joke at the Oval about how England's cricketers could probably beat the team ranked 193 in the world. His opposite number Pier Angelo Manzaroli intends to show up his more glamorous opponents. The only point we got so far has a much higher value than England's six victories, if we consider the skills of the two teams. I hope it has been just a clumsy quote, otherwise... we'll try to answer him on the pitch. England might be expecting to romp home to victory over San Marino in a few hours, but should they be so confident when they aren't even the best team on the island? That's Wales now, and England won't be able to catch them in the Fifa rankings after Gareth Bale and co picked up a victory over Israel. Here's Bale with a moment of magic I can't see Jamie Vardy being able to pull off. 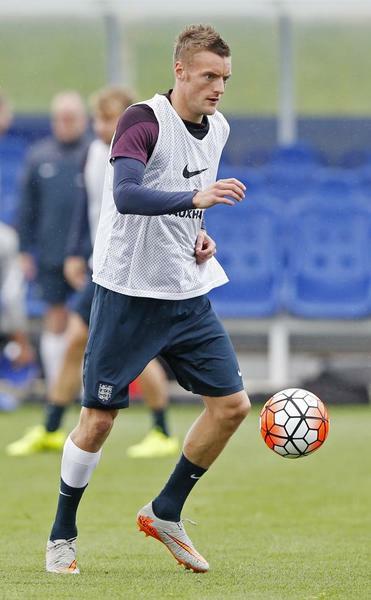 Jamie Vardy: England striker. Leaving aside any off-the-field indiscretions there is something deeply uninspiring about that sight. Admittedly Hodgson is without Sturridge and Welbeck but the fact that a former Fleetwood Town striker with seven Premier League goals is good enough to play alongside Wayne Rooney reinforces how far the national team has slipped. Here's more on the England team, with Alex Oxlade-Chamberlain preferred to Raheem Sterling in one of nine changes from the team that played (and struggled) against Slovenia. @FindingFellaini Because it's against SAN MARINO. We don't need our best team out. When it comes to bigger games, best players play. A lot of Twitter users have already started the backlash to the England team backlash, maintaining that this side will be good enough to beat San Marino. I suppose the concern might be just how insipid England's bench options look, particularly in attacking positions. Bar Oxlade-Chamberlain few of these players have started the season well, is this the best England have? We've got those San Marino players in for you now too! Here's both teams in full. Subs: Benedettini, Berretti, Alessandro Della Valle, Alex Della Valle, Golinucci, Mazza, Rinaldi, Stefanelli, Tosi, Valentini, Fabio Vitaioli, Muraccini. 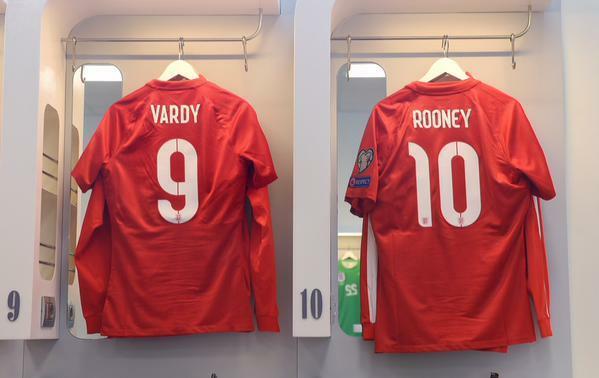 England: Hart, Clyne, Stones, Jagielka, Shaw, Shelvey, Milner, Oxlade-Chamberlain, Barkley, Vardy, Rooney. 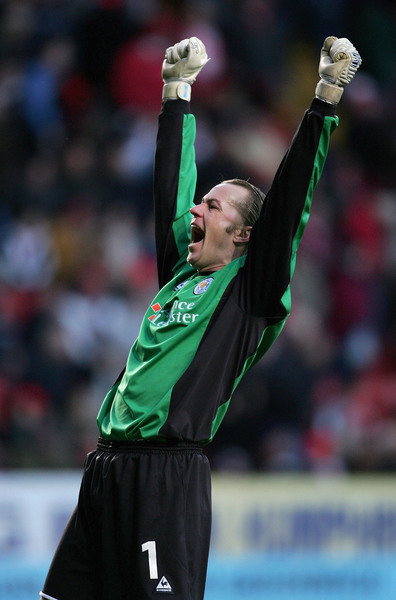 Here's a corker of a question for you, prior to Jamie Vardy who was the last Leicester City player to play for England? Of course it was the man, the myth. 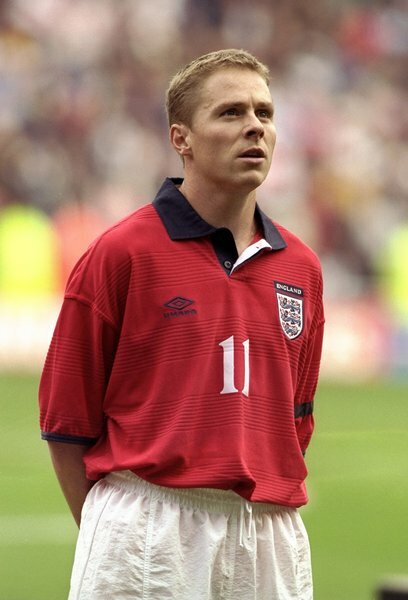 Mr Ian Walker, who made a substitute appearance in a 6-1 win over Iceland. 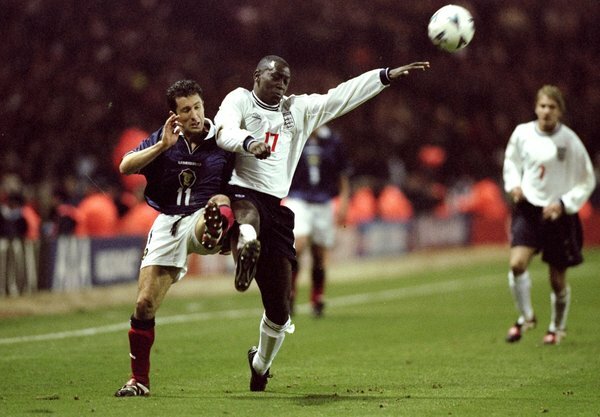 Prior to him, Messrs Steve Guppy and Emile Heskey. Manzaroli is looking swish and smart. I'd pick him to manage my team. 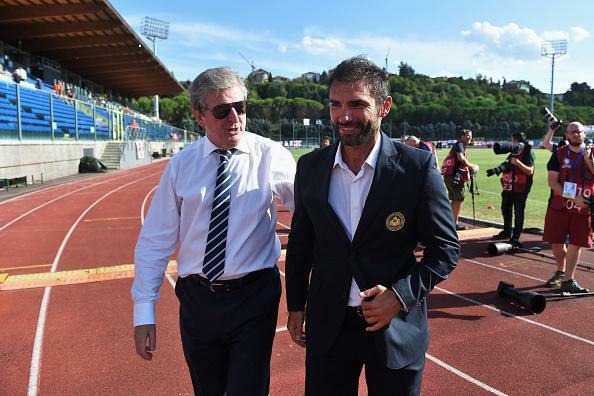 And he's got the managerial chops for a better job, having guided the San Marino U21s to victory over Wales in 2013. 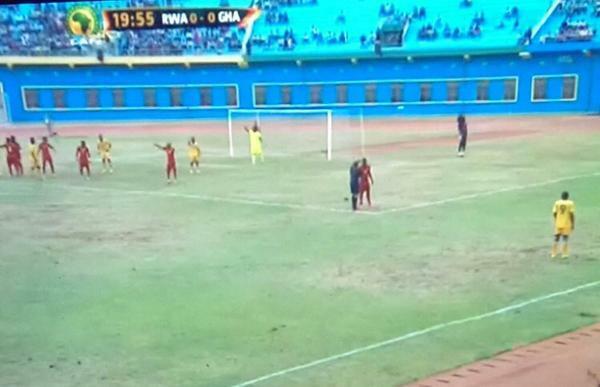 In news to encourage all the minnows of world football South Sudan have just won their first ever competitive match, 1-0 against Equatorial Guinea. The win comes just five years after the country gained independence. That's a remarkable stat when you consider that San Marino were waiting 1703 years for their 2004 friendly victory over Liechtenstein. You didn't think the build up was going to go by without us reliving this classic moment did you? In 1993 Davide Gualtieri scored in just 8.3 seconds to humiliate Stuart Pearce and the rest of the England team. Ian Wright then went on to score a hat-trick in a 7-1 win but England still didn't make it to World Cup 94 after the Netherlands won against Poland. We're ten minutes away from kick-off, here's a reminder of the lineups. 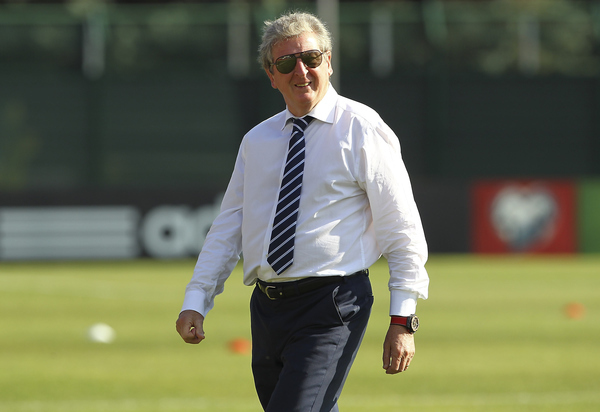 The teams are on their way out, Roy's ready, are you? 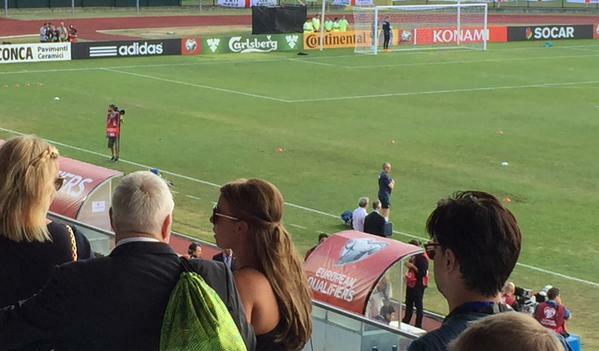 There's about 2,700 England fans in the stadium but it looks like plenty more have made the journey. Kick off: San Marino get us underway and keep the ball for about six seconds. England give it away soon after when Rooney attempts a backheel. God I miss the Premier League. 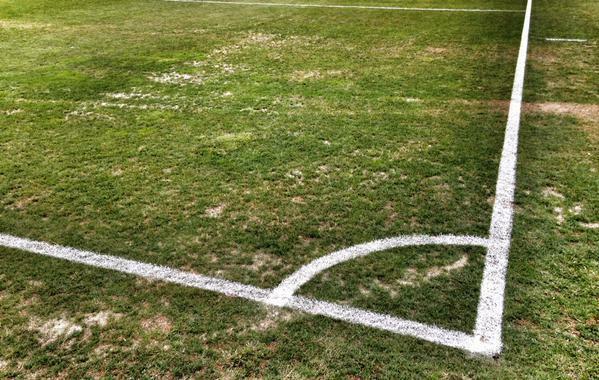 3 mins: The pitch in the San Marino Stadium is quite dreadful, with grains of sand popping up off the turf when the ball bounces. There's England's excuse if they take too long to break down this defensive San Marino side. 5 mins: Jonjo Shelvey is monopolizing possession at the base of England's midfield and is using it to fire forward long balls to no-one in particular. Not the brightest of starts from Roy's boys. 10 mins: Oxlade-Chamberlain has looked the most likely to craft an opportunity early on. He barges past Pallazzi, falls over then passes the ball to Clyne in the area. 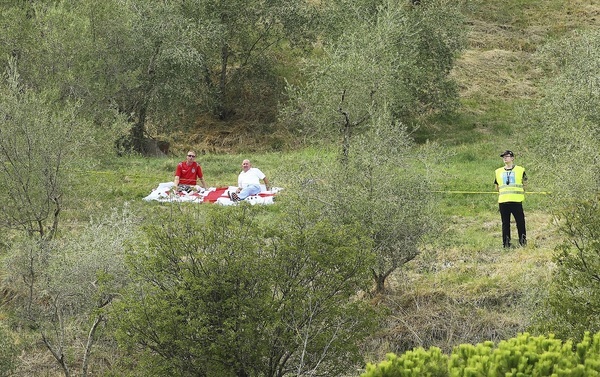 He also falls over and San Marino clear. 12 mins: This is incredibly bizarre! England have the strangest of penalties. James Milner whips a free-kick into the area, Rooney jumps under it and the ball hits John Stones hand. The referee sees it very differently, calls the handball against San Marino and Wayne Rooney could be about to go level with Sir Bobby Charlton. GOAL! 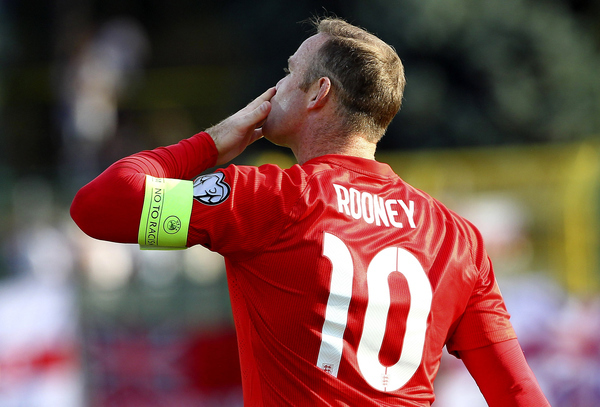 Wayne Rooney is England's record goalscorer. He slots the penalty in the bottom right as Aldo Simoncini goes left. What a strange way to earn the record. No sense of history from Rooney. Where was the Panenka? 18 mins: Rooney goes close to stealing the record, sprinting in behind the San Marino defence before drawing a solid parry from Aldo Simoncini in goal. Elsewhere the pitch is exceptionally dreadful, lacking even a semblance of reliable bounce. Oxlade-Chamberlain in particular seems to be struggling to read the ball's bounce. The Emirates carpet this is not. 25 mins: Very little of any note has happened in the past seven minutes, with England having the ball but struggling to find their way past eleven men in front of them. James Milner takes the more direct option of shooting from outside the area, but his low drive misses the near post. 27 mins: Aldo Simocini and Manuel Neuer: separated at birth. Twice in the space of a minute the goalkeeper is out quickly as first Rooney then Vardy look to get in behind the San Marino defence. On both occasions he clears well with his feet. GOAL! 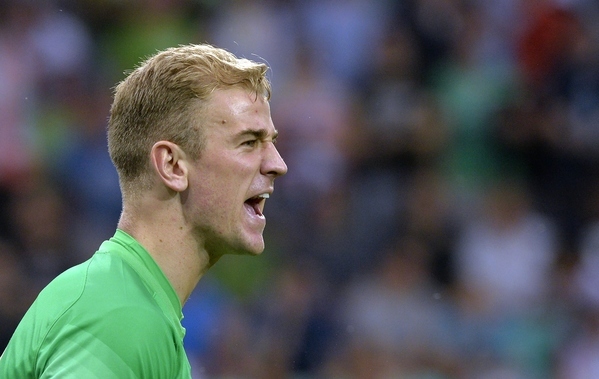 (30 mins) England lead 2-0 as Brolli heads a regulation Luke Shaw cross into his own net. And that's bad news for Wayne Rooney I'm afraid, Own Goals is now level with him on 49 for England. Goal's continuing its fine start to a season where it leads the Arsenal scoring charts. 38 mins: More time has passed. In that time England players have run around a bit and not inspired much in the way of excitement. On a bad pitch with so many players behind the ball there's no point sticking the knife too far in, but the likes of Barkley, Oxlade-Chamberlain and Rooney are yet to show the incision required to break through San Marino's defence. 42 mins: A very, very good ball from Shelvey gives Vardy space in behind the defence. A very, very bad cutback from the Leicester striker doesn't find a wide open Rooney. 43 mins: An excellent save from Aldo Simoncini brightens up this half. His brother Giovanni heads a cross straight to Oxlade-Chamberlain but Europe's hardest working keeper tips the volley over. HT: England lead 2-0 in a game in which their own dominance has made for deeply, deeply dull stuff. A dodgy penalty and an own-goal, if you were inclined to be harsh you might say that England are really not looking very good. And you know what? They aren't. 46 mins: We're back underway for the second half. GOAL (46 mins): And within 15 seconds England are 3-0 up. 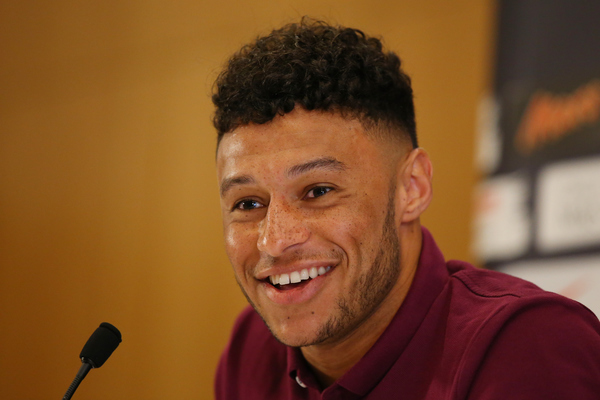 Alex Oxlade-Chamberlain sprints down the right, curls a cross back from the byline for Ross Barkley to power in an unmarked header from 12 yards out. 53 mins: Credit where it's due, Wayne Rooney has looked like a bulldozer this evening. He wins a free kick for England by simply powering into Bonini. His colleagues don't do much with that set piece but at least the captain's having a great time. 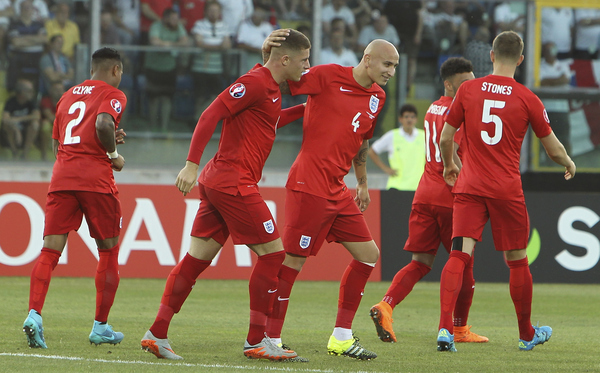 55 mins: PANIC in the England area as John Stones shanks a clearance up into the air. Joe Hart claims convincingly in what constitutes San Marino's best chance despite none of their players touching the ball. 58 mins: Roy Hodgson has seen enough, time to make the changes. Wayne Rooney and James Milner are off, Harry Kane and Fabian Delph are on. 62 mins: Chamberlain once more breaks down to the byline and crosses to the back post, where substitute Delph volleys into the turf. The ball breaks to Kane on the other end of the goal but his shot connects only with fresh air. 66 mins: Fabian Delph has space on the edge of the area and time to pick a shot. He curls it over. Oxlade-Chamberlain makes way for Theo Walcott in England's final change. 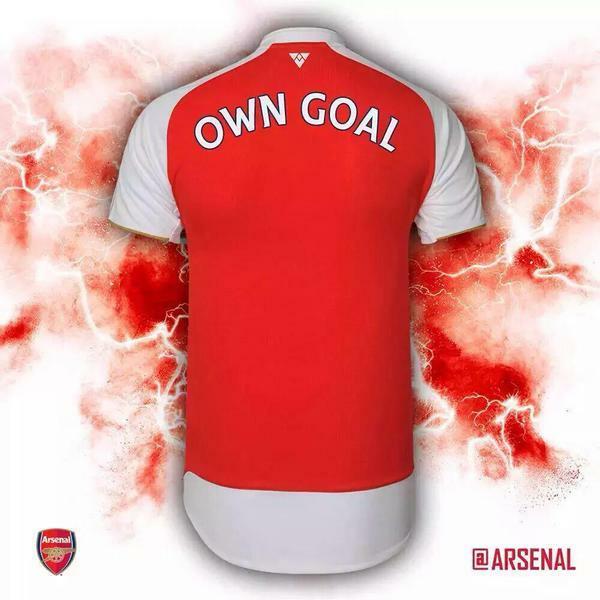 GOAL (67 mins): He only needs one touch! Fabian Delph crosses from the left, it passes every single San Marino defender to find a wide open Walcott at the back post to turn in. 72 mins: Theo Walcott breaks from deep beating several defenders. However credit to San Marino, they swarm back and pressure Harry Kane into making a mistake. GOAL (77 mins) The best of the five so far comes from Harry Kane! An excellent pass from Shelvey finds the Spurs striker in behind the defence. He finds space with one touch and then lobs the keeper quite exquisitely. GOAL (78 mins): And there's another for England and Walcott. Barkley barges through a tiring defence before finding Walcott behind the defence. The Arsenal striker slots past Simoncini. 81 mins: Walcott blows his chance for a second away hat-trick in an England shirt, chipping over the keeper and wide after Stones had won the ball and brought it forward. 86 mins: Barkley has a chance to cross but overhits his effort by some distance. This has not been the most impressive of appearances by the Everton man, in spite of the goal. 90 mins: Harry Kane nearly manages a second but once more when played through on goal he manages to miss the ball. Full time: England have qualified for Euro 2016! And I'll leave you with the player ratings. 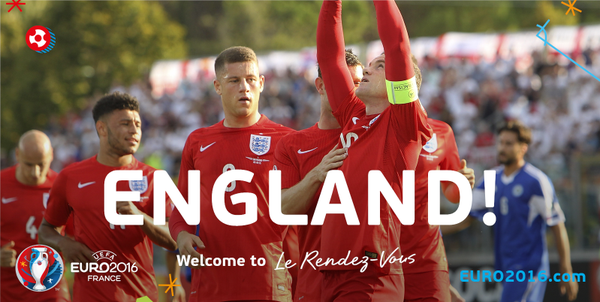 Find out who were the star men and who flopped as Roy's boys secured passage to France 2016.